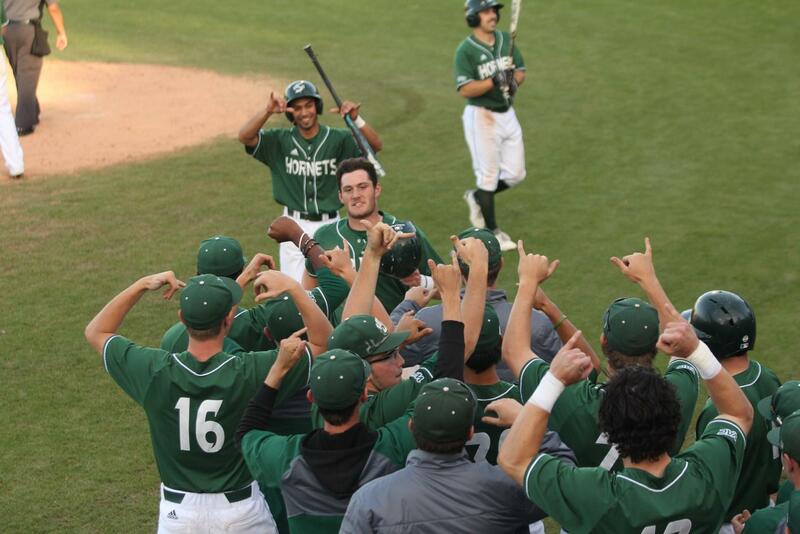 Sacramento State freshman second baseman and Hawaii native Keith Torres, middle, celebrates behind his teammates as they hold up the Shaka sign after he hit his first career home run against Chicago State at John Smith Field on Saturday, April 7, 2018. The Hornets defeated the Cougars 13-1. 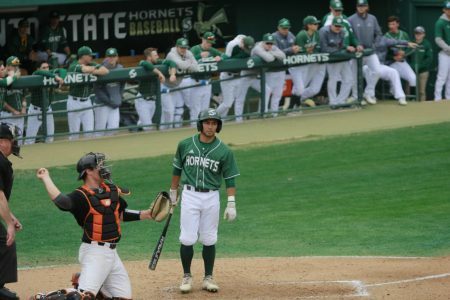 The Sacramento State baseball team swept Chicago State in a three-game series on Saturday and Sunday at John Smith Field. 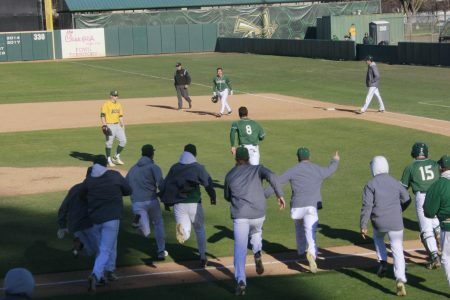 The Hornets (16-14, 6-1 Western Athletic Conference) were originally supposed to play the Cougars (5-23, 0-9 WAC) on Friday, Saturday and Sunday, but rain on Friday forced the series to be rescheduled to include a doubleheader on Saturday. 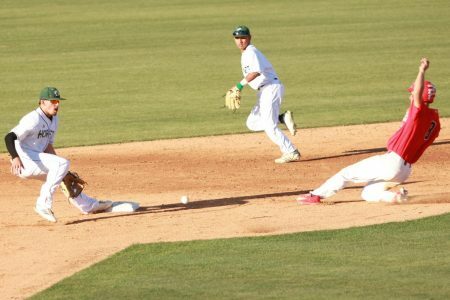 Sac State defeated Chicago State in game one of the series by the score of 10-0 after seven innings due to the WAC mercy rule, which was used in all three games of the series. 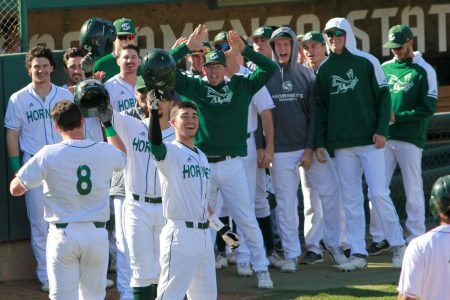 The Hornets hit three home runs in the first game off the bats of senior first baseman Vinny Esposito, freshman infielder Steven Moretto and senior second baseman PJ Floyd. Esposito and senior outfielder Ian Dawkins each had three RBIs, while Moretto and Floyd had two RBIs each. 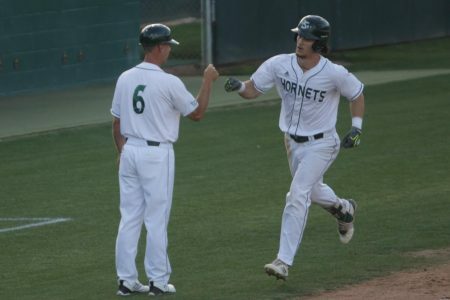 Sacramento State senior first baseman Vinny Esposito celebrates with senior second baseman PJ Floyd after hitting a home run against Chicago State at John Smith Field on Saturday, April 7, 2018. The Hornets defeated the Cougars 13-1. Sophomore pitcher Parker Brahms gave up one hit and struck out seven batters during his complete game shutout. 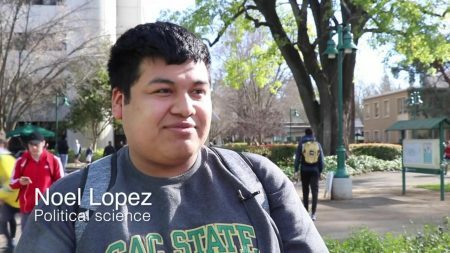 Sac State then took game two against the Cougars, 13-1, with help from another offensive explosion and shut-down pitching. 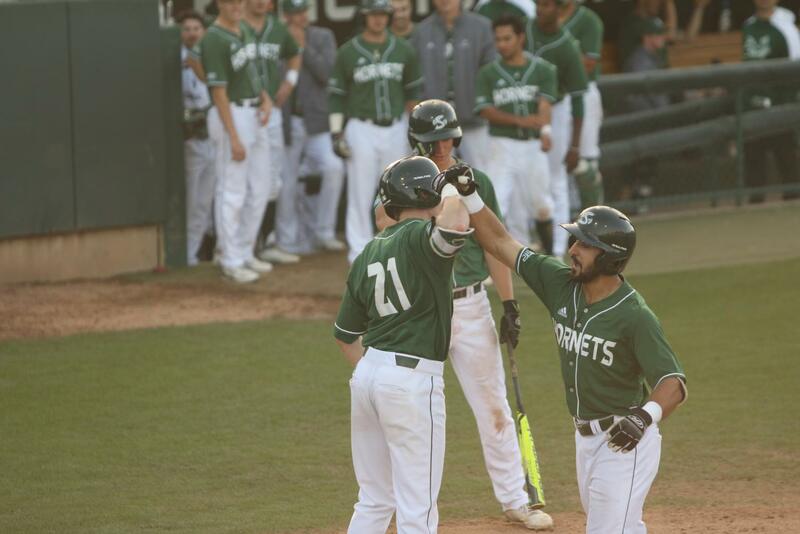 The Hornets hit three home runs in game two off the bats of Esposito, junior outfielder James Outman and freshman infielder Keith Torres. Torres, who hit the first home run of his career on Saturday, said the accomplishment meant a lot to him. Torres and Esposito each went 2-for-3 with two RBIs, while sophomore outfielder Matt Smith went 1-for-3 with three RBIs. Senior pitcher Austin Root gave one run on four hits and struck out six batters during his complete-game performance in the second contest of the doubleheader on Saturday. 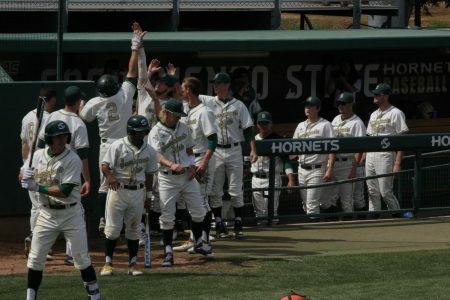 Sac State then completed the sweep against the Cougars with a 10-0 shutout in game three of the series on Sunday. Dawkins went 3-for-5 with two RBIs, while Floyd had two RBIs of his own on his 1-for-2 performance including a two-run home run. 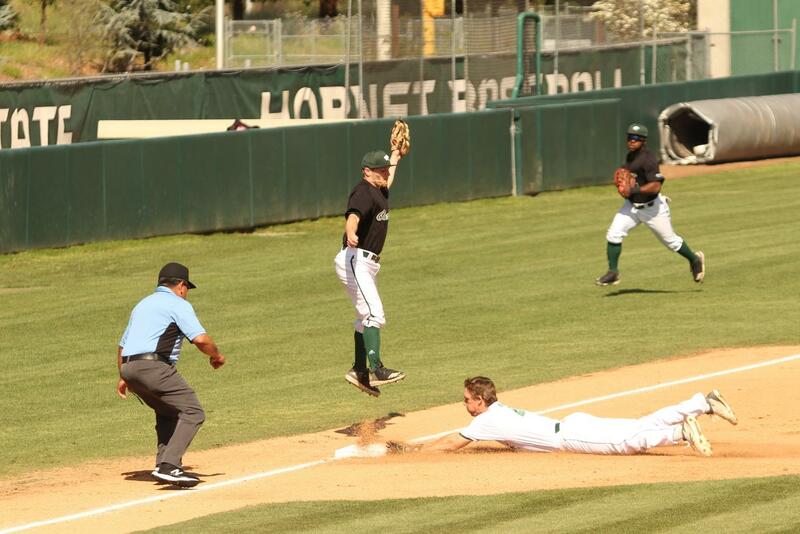 Sacramento State sophomore outfielder Matt Smith dives safely into third base as Chicago State junior third baseman Daulton Ryans jumps up for the ball at John Smith Field on Sunday, April 8, 2018. The Hornets defeated the Cougars 10-0. Smith, who went 3-for-3 with three RBIs, said he was just focusing on what he could control at the plate. 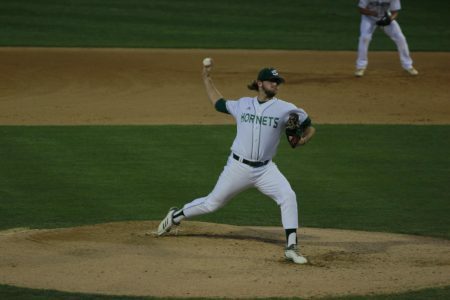 The Hornets used three pitchers during the final game: freshman Scott Randall, sophomore Austin Roberts and senior Austin Ragsdale all contributed to shut out the Cougars. 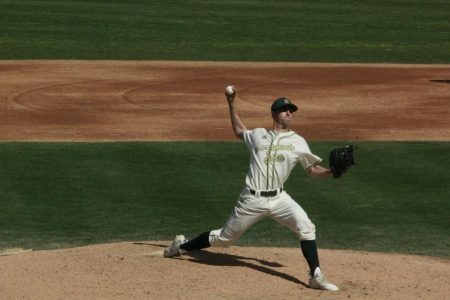 Randall pitched five innings and gave up two hits, and Roberts threw one inning and struck out two batters. Finally, Ragsdale gave up two hits and struck out one batter in his one inning of relief. Sac State coach Reggie Christiansen said he was impressed with his team’s performance this weekend. “We certainly pitched and played great defense, as we previously have,” Christiansen said. 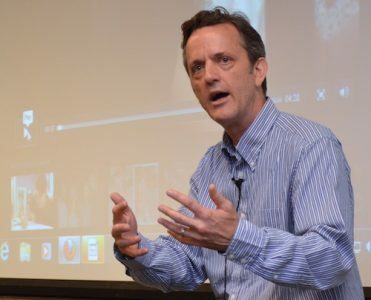 “But offensively we are much improved, and it is good to see that. 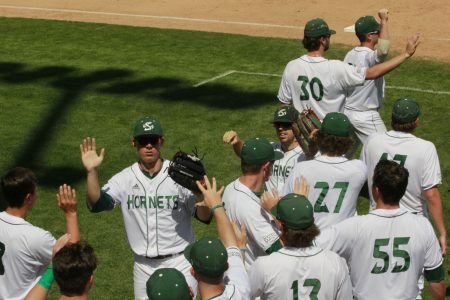 The Hornets will next take on the University of the Pacific, which Sac State defeated 9-1 last season, at 6 p.m. on Tuesday at John Smith Field.